Most tradesmen are honest, competent, and hard working. But if you have one who isn’t, it can mean living in a building site for what seems like an eternity, costs thousands of pounds, or a botched job that causes problems for years to come. When you are looking for a tradesman, how can you ensure he or she is trustworthy? One of the best ways to ensure quality service is to choose somebody who has been recommended to you by a good friend or family member, especially if you have seen their handywork first hand. If you’re new to an area or haven’t been impressed by recommendations from friends in the past, then start your search online. We have partnered with Checkatrade as they have an extensive nationwide network of trades which you can search for free. They run strict background checks on tradespeople before they can become members. Once tradespeople join, members agree to have feedback from their customers put online and promise to meet ‘The Checkatrade Standard’. If people knock on your door and offer you unsolicited services always turn them away. There are lots of con artists who operate in this way, and no reputable trader gets work by cold-calling on strangers. If you ensure you get a number of quotes for every piece of work that needs doing, you can better judge the true price. You are also less likely to get ripped off. It can be astonishing how much prices vary. Also, each time you speak to a builder about the work, you will learn more about it – and will be better able to judge if a tradesman knows what they are talking about, or is spinning a yarn. You’ll soon realise how surprisingly difficult it is to get a quote out of a builder, but persevere. Approach at least 5 tradesmen from the off so that you have enough quotes to be able to compare. You shouldn’t be shy about asking for two or three references. Then call up the referees and speak to them directly about the work and service of the tradesman; if it is a big job, you might want to go and see the quality of his work. If the builder won’t provide references, ask why – it is often very telling about them if they don’t. It is an old contractors trick to build up debts with materials firms, declare bankruptcy, and close down the company leaving you with a half finished job and no recourse. So ask for their company details (company name and number) and check how long they have been trading, and whether the company is active, dormant or dissolved. You can do this with Companies House using their web-check service, and for £1 you can download annual accounts and reports. what materials you will supply – will you provide the paint, tiles or lighting attachments? Never accept a verbal quote, except perhaps for the very smallest jobs that are just a few hours work. Always get a written quote for the job, detailing the costs for the brief above. It’s very easy to give a low estimate initially in order to attract business and then put the price up later. Low prices might result in lower quality too. Go with a tradesman you trust to do a good job rather than one that gives you low prices. For certain types of work – for example, electrical, plumbing, gas, and replacing windows – you need to get a building regulations compliance certificate from your local authority. The tradesperson can provide your certificate if he or she is a member of a Competent Persons Scheme – a government run accreditation programme – that confirms that the work has been done in line with building regulations. Alternatively, you will need to go to your Local Authority Building Control department so they can sign off the work. Are they registered with a trade body? Are they registered with a trading standards scheme? Buy With Confidence is a government scheme operating in certain counties in England which will confirm that businesses are operating in a “legal, honest, and fair way”. The level of service they demand is a basic one – it basically in line with official Trading Standards – but they do check up on their members periodically and have a mystery shopping service. The members are also vetted by trading standards officers who are paid for by the government and so are completely independent. If they are part of any schemes or associations, do report any poor service. You should also report them to your local Trading Standards department, who have the power to make them improve their standards – and even to stop them from trading. How to carry out home repairs and improvements? 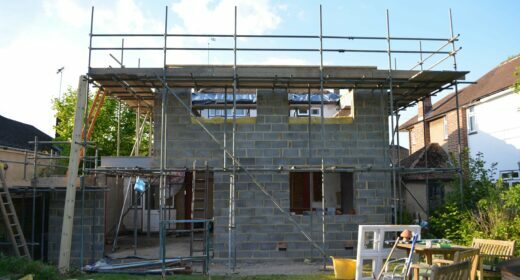 Home extension: where to start? Kitchen renovation: where to start? Loft conversion: where to start?